Do you want to lose fat and get a flat stomach? Would you like to improve your energy levels and feel healthier and more alive at the same time? In that case, there’s one form of exercise that arguably trumps all the others. And that is… walking! Let’s take a look at why walking is the king of the hill when it comes to losing weight and improving your health. One of the best-known forms of exercise for losing weight is undoubtedly running. This will be what many people turn to first when beginning a weight loss program and it can certainly be very effective when used correctly. But there are drawbacks to running too and some of these ensure that it will always be somewhat inferior to walking. The first and biggest issue with running is that it takes such a toll on the body. Running hurts the knees, jars the ankles and puts the body through a lot of stress. It also works the heart to a great extent and is something that you need to handle with care if you want to maintain a healthy program over an extended duration without burning out. 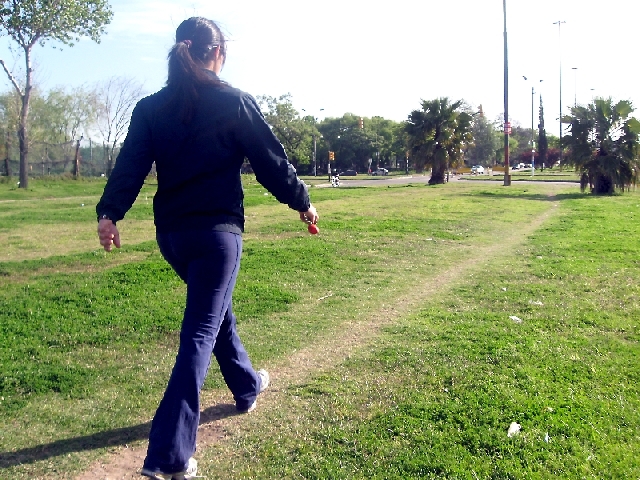 Walking, on the other hand, is something that you can do every single day without risking overtraining. It can also be highly functional and practical – walking doesn’t make you badly sweaty and it can be an excellent way to get from point A to point B. A brisk walk can easily burn a few hundred calories, which isn’t that much less than the same time spent running. Go on a few of these walks a day (perhaps as part of your morning commute) and you can easily add an extra thousand calories burned every single day. Then there are the other health benefits: the way that walking will ensure that you get lots of fresh air and sun exposure for instance. It has also been shown by some research that walking can actually increase your activity. This doesn’t work if you’re on a treadmill though – you need to get out there and walk in the sun! Bodybuilders love walking for another reason entirely – it is a form of cardio that doesn’t burn muscle! The best part? You can still run once or twice a week on top of your daily walks. Or even throw in a gym workout. Instead of trying to make up for a life of inactivity with a couple of workouts, walking regularly will make you generally much healthier. Sure, there are other ways to lose weight too. Restricting calories can be highly effective for instance. But if you want to see a rapid transformation and change in your body composition, while also improving your general mood, energy levels and health… then there is very little that will act faster than making sure that you hit your 10,000 step goal every day. Why not get yourself a fitness tracker and start measuring those steps?